« “Forgotten Hollywood”- Dinner and Classic Movie in Antigua! Turner Classic Movies has just announced their next major event. 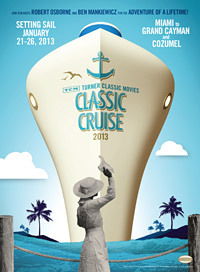 The Second Annual TCM Classic Cruise will spend five glorious days in Mexico. The Celebrity Constellation will travel from Miami to Grand Caymen and Cozumel. Advance pre-sale tickets are now available for this Hollywood-themed vacation. The Cruise sets sail on January 21, 2013. Join TCM Hosts Robert Osborne and Ben Mankiewicz for the classic movie adventure of a lifetime! You’ll savor five days and nights on board the luxurious Celebrity Constellation — watching films, seeing the actors and talent who made them, hearing their stories from behind the scenes, enjoying special panels, and sharing it all with other passionate movie fans like you… it’s classic movie paradise at sea. 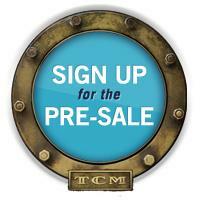 Visit TCMcruise.com today to signup for the pre-sale and get access to the best selection of cabins. And, be sure to check back often for breaking news and special announcements. As they say in the movies…. Ships Ahoy! This entry was posted on Friday, April 20th, 2012 at 12:21 am	and is filed under Blog by Manny Pacheco. You can follow any comments to this post through the RSS 2.0 feed. Responses are currently closed, but you can trackback from your own site.